The Clinique Cheek Pops come in 4 different shades: Ginger Pop, Peach Pop, Berry Pop and Plum Pop. The stunning color above is called Peach Pop and has a subtle shimmer to it. Please note that the color is a bit darker and more pink on the picture. It's always very hard to capture the exact color on film, but I can assure you that the color is peachy indeed. 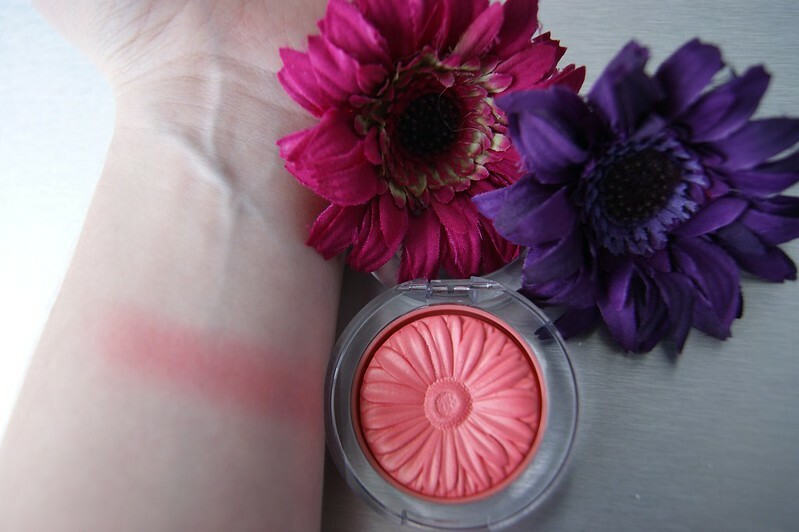 The blush is shaped in a beautiful gerbera flower and I didn't want to use the blush at first, afraid that the shape would disappear. However, work needs to be done, so I started swatching and applying... And guess what? The shape stays intact! 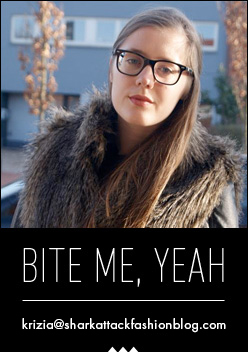 Thumbs up for that, since it's always nice to have a little extra touch to a product. 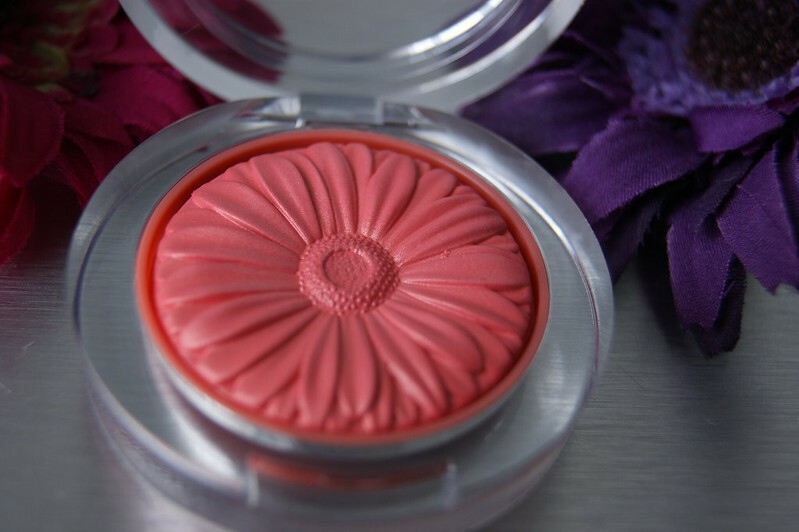 The blush is sealed in a transparent compact box, which is a personal plus for me. This won't make me search for hours when I'm looking for a certain product. It's also big (or small) enough to fit into every purse or make up bag. "In the beginning it's a soft liquid that undergoes a slow baking process into a new, unique powder composition with a luxurious, light texture that feels silky soft". Clinique isn't lying about the 'silky soft' part, because it's soft as hell. It's the first thing you'll notice when you run your finger over it. I also love how natural the color looks. For the swatch above, I used more blush than I usually would, just to make sure that it would turn out well on camera. Time for a selfie! So, what do you think? 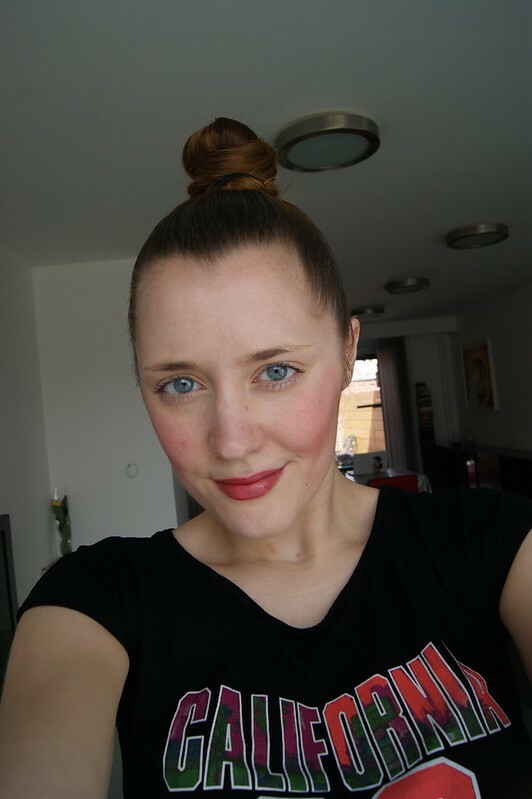 I love how the blush on my cheeks softens my expression and gives a more 'healthy' glow (if you can call it that). I have to admit that I rarely - or should I say: never - wear blush, but I'm actually pleasantly surprised. If you're as pale as I am, I think it's the perfect way to add some natural looking color to your face. I will definitely try out some looks for spring and summer! 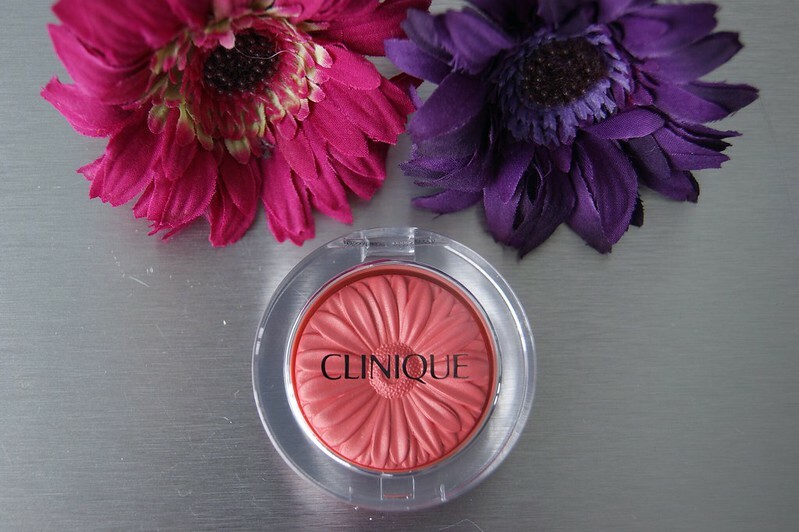 The Clinique 'Cheek Pop' blushes are exclusively available on the Clinique website for € 24,85. I love that shade, it looks so fine on you! I love that Clinique finally came out with these. 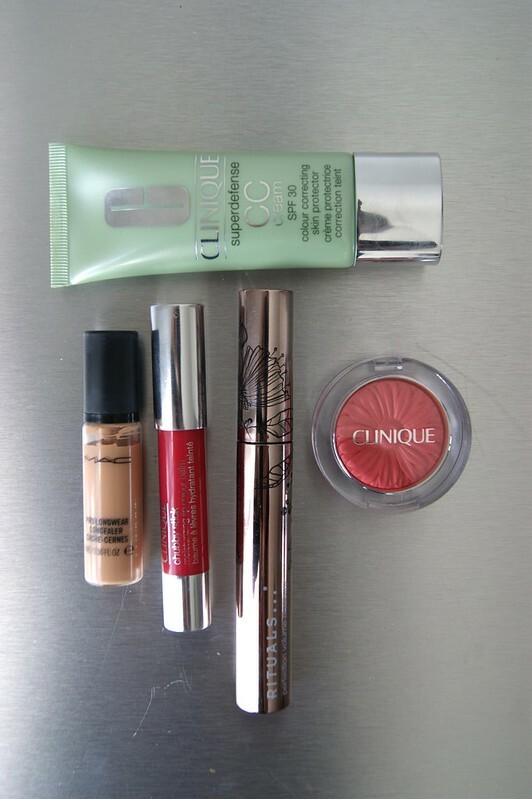 I love this brand already and I'm glad to include more items from them into my makeup routine. Staat je supermooi, die kleur. En idd: hq klinkt een pak glamoureuzer dan keukentafel ;-). Love their blushes, nice post! Ik heb de roze en vind hem geweldig!!! Deze is ook een mooie kleur, staat je superleuk!